Did you know a “Safety Check” of your truck includes the battery box cover? 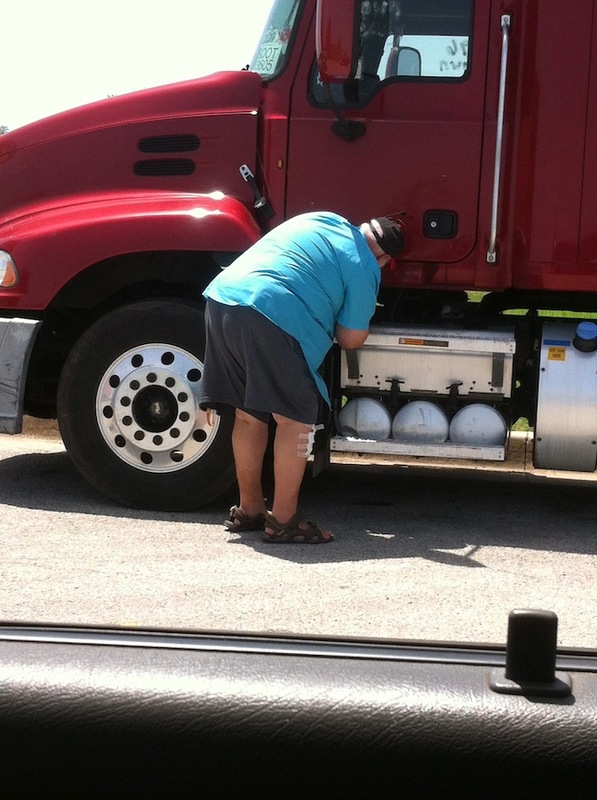 As a driver for Drive-Away it seems you have to check, and re-check, the trucks you will be delivering. Tires inflated properly and no tread missing. Air and side fairings securely attached and not cracked. Safety chains tight. No missing mud flaps. Fluid levels at optimum ranges – oil, water, steering fluid, and windshield washers. As you walk around the trucks for your inspection you look for dings, bends, scratches, cracks, parts and pieces missing, all covers in place, and everything is where it is supposed to be. Nothing hanging below the chassis to drag the ground. What no one ever tells you is to check the battery box cover on trucks with the batteries located on the driver side step assembly. Especially when you see the mechanics at the facility where you pick up the truck getting in and out of the truck, up and down the step. The mechanics at the place where Joe picked up this Mack truck had been up and down in this truck. Moved it from one place to another. When it was finally released to Joe, he was in and out of the truck a few times himself. Then, BAM! The battery box cover tipped forward as he attempted to get in the truck. The sharp edges of the nonslip aluminum tore into his shin as he, and the cover, were headed directly to the ground. Blood everywhere. Torn skin embedded in the tread grooves. 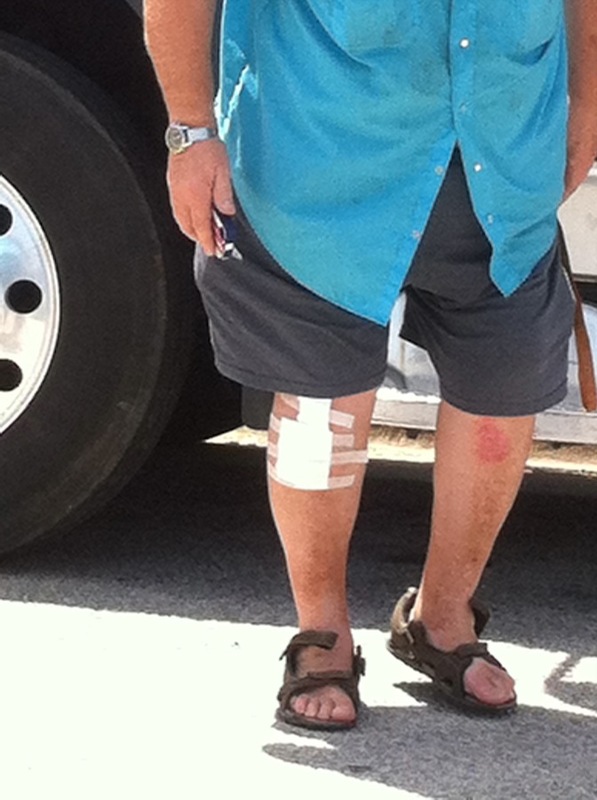 Sharp shooting pains from the leading edge of the battery box cover slamming into his shin. Not a pretty sight. Joe would be passing through home on his way out to deliver. He used a hand cleaning wipe to clean off the blood and gore. He toughed it out for four hours making his way home for me to care for his badly wounded leg. So you may want to do a safety check on the step assembly which houses the batteries. Just to make sure you won’t be the next one eaten by the blasted thing. This entry was posted on Thursday, August 20th, 2015 at 6:58 am	and tagged with battery, battery box, battery box cover, safety check and posted in battery box, battery box cover, Drive-Away Transport, Mack, Mack truck. You can follow any responses to this entry through the RSS 2.0 feed.